Building on Blockchain Before 2017, the majority of the general population had little awareness of blockchain technology – except for people working in or closely following the digital space. Bitcoin, blockchain's most renowned manifestation, was also little known. The numbers tell the story: at the beginning of 2017, Bitcoin was trading at about $1000 a piece. By the end of the year, Bitcoin had seen its value rise 20-fold, peaking at a $19,203 in December. Blockchain begins 2018 as a mainstream technology. As such, it has become one of the hottest topics for businesses around the world, across myriad industries, including insurance. Distributed ledger technologies, the foundation that underpins blockchain may revolutionise the way that re/ insurers transfer risk. Using distributed ledger technologies can enable less administration and expand coverage by reducing the time taken processing and administering insurance contracts, making risk transfer frictionless and improving risk data management across the value chain. Insurance can become more attractive to and attainable for customers if it's made more efficient and agile. Blockchain technology has introduced new opportunities for the insurance industry that are now within our reach. The evolution of the value chain through this technology has the potential to open access to new market segments and deliver efficiency gains that will support growth in micro-insurance, helping to close the protection gap around the world. Early on, Swiss Re saw the potential of this emerging technology, and in October 2016 became a co-founder of the Blockchain Insurance Industry Initiative known as B3i. B3i, a consortium of 15 key industry players, was created with the explicit mission to explore and develop distributed ledger technologies in the insurance industry. 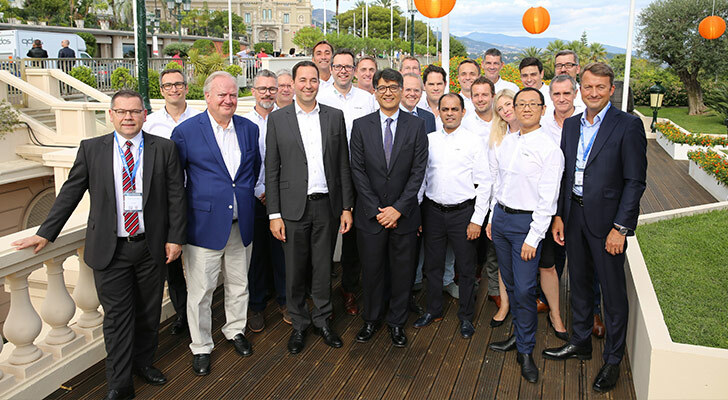 By September 2017, a prototype of B3i's initial product, a smart contract management system called Property Cat Excess of Loss, "Cat XoL," was developed and presented to the industry at Swiss Re's Pavilion at the Monte Carlo RVS conference. Cat XoL is able to automate the entire lifecycle of a contract, from drafting and negotiations, through to premium payments and claims handling between parties. Validating the potential impact of the solution, 38 companies including Swiss Re agreed to participate in testing. With the product receiving positive feedback from testers, CatXoL is expected to launch with live contracts by the end of 2018. In March 2018 B3i Services Holding AG was preparing to incorporate in Switzerland to ensure appropriate financial support of the initiative as it moves into this next phase. Gerhard Lohmann, CFO Reinsurance who is also chairman of the board of B3i states, "The transition from consortium to independent company is a concrete step forward to realising the enormous potential of blockchain for the insurance industry." B3i has now begun to look at future products and expanding the scope to primary insurance, with Swiss Re continuing to play a key role in the development of B3i Community. Find out more about the B3i initiative and the Cat XoL technology here, and watch this video to learn how B3i can change the industry.